Tuberculosis (TB) is caused by infection with Mycobacterium tuberculosis (Mtb) and represents one of the most relevant bacterial diseases worldwide. Recent advances have yielded new insights into the molecular basis of the immune response required for restriction of the pathogen and also highlighted determinants of immunopathology in TB. Several innate immune mediators including soluble proteins as well as lipid molecules participate in both processes, and their mechanisms of action during TB have been extensively studies over the past years. Among those mediators, inflammasomes are essential signaling platforms that execute crucial functions in several areas of immunology and beyond. 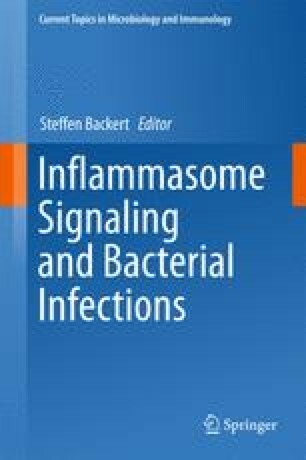 This chapter aims to summarize what is known about the roles of the inflammasome during infection with Mtb from both in vitro studies as well as from in vivo work. A better understanding of the complex interactions between Mtb and the host immune system could reveal novel therapeutic approaches and improve current vaccination protocols in TB.